Well, a week later. I am doing good weight-wise. Weighing in every day, you see all the fluctuations. Only once this last week did I see 200lbs - the rest were 199 or lower... where as the week before it was all 200+ and one day with the 199. So it is still working when you look at the big picture. That is what I have to focus on - the daily glance at weight can drive you nuts. After my first road race last week, I had my first Time Trial of the year Sunday. ColaVita Time Trial Series - #1 Casstown. The course was a flat to mildly rolling 9.1 mile course. My finish time was 22:46 - just missing the podium by 22 seconds. 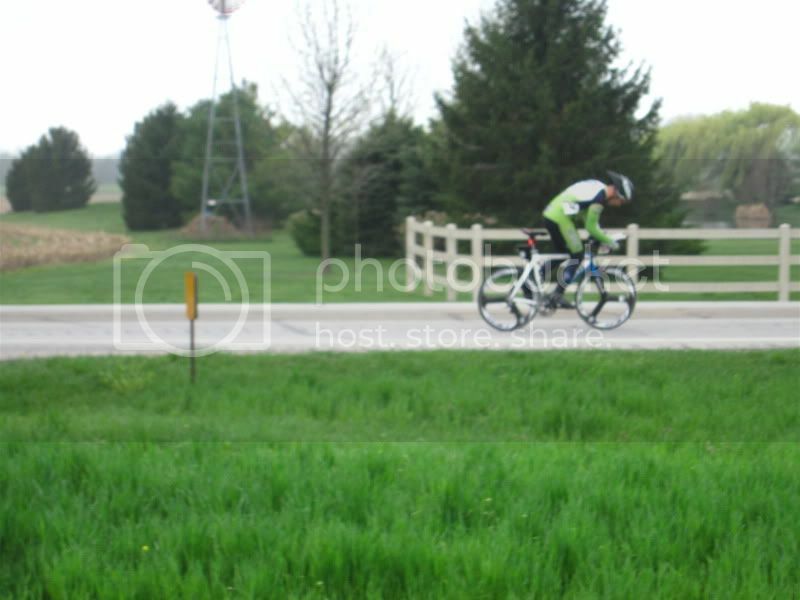 Man if I would have known that on the course I am sure I could have found that time out there... pushing harder on a downhill, suffering a little more on a climb, rounding the corners a little faster (should have pedaled through them), etc... It was a good ride. I took my entire family to this one. The kids running around made things a little hectic, but they were still fun to have there. 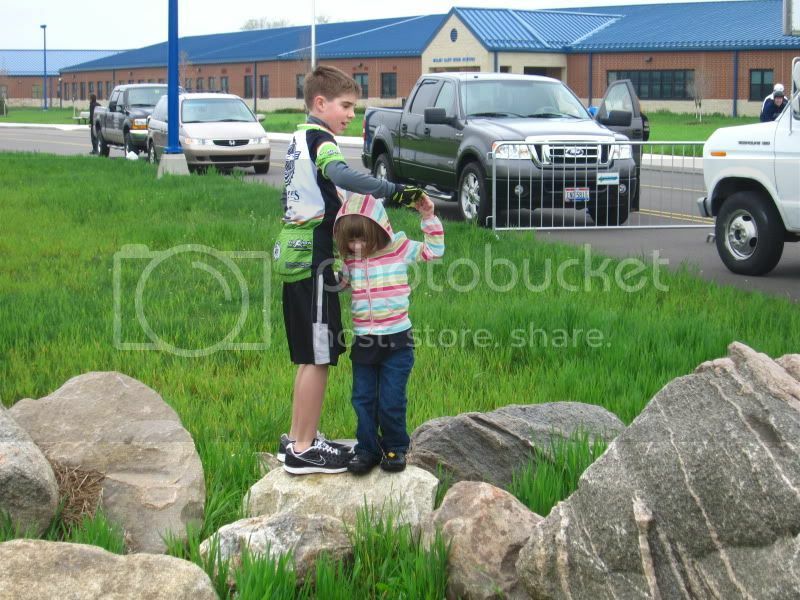 Although I think Jenna would have prefered not to be there all day.. it had to be tough for a 3 year old..lol. Anyways, Carisa brought her bike to try her first race too, only her 4th time on her road bike ever! 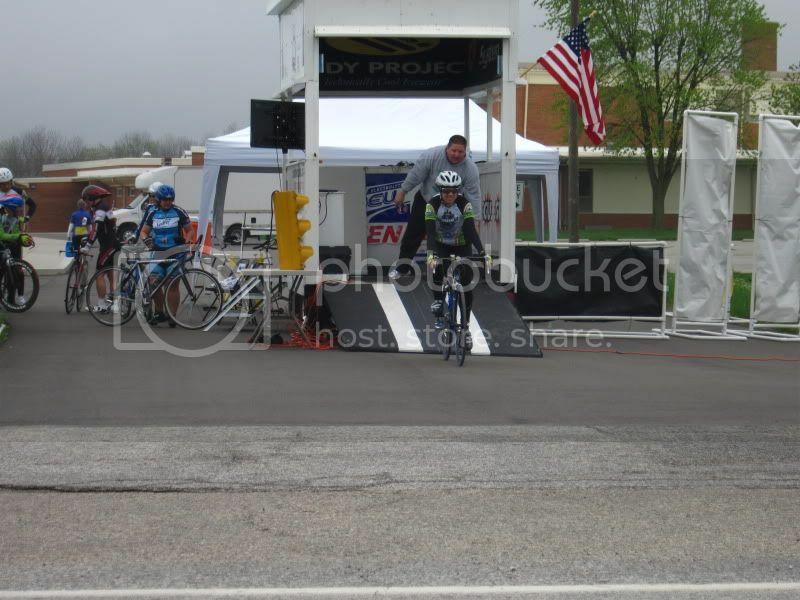 I got back from my race, got the kids, got her on her bike, and she road around the parking lot a few times (what a warm up...lol) and she got in the start house and took off. She came back with a 28:17 total time - 19.3 mph avg speed - very nice. She was pleasantly suprised. Turns out it was enough to win the female standard class. First time out, First place... she showed me! Great Job! We joked afterwards about how biking is so much better than running. 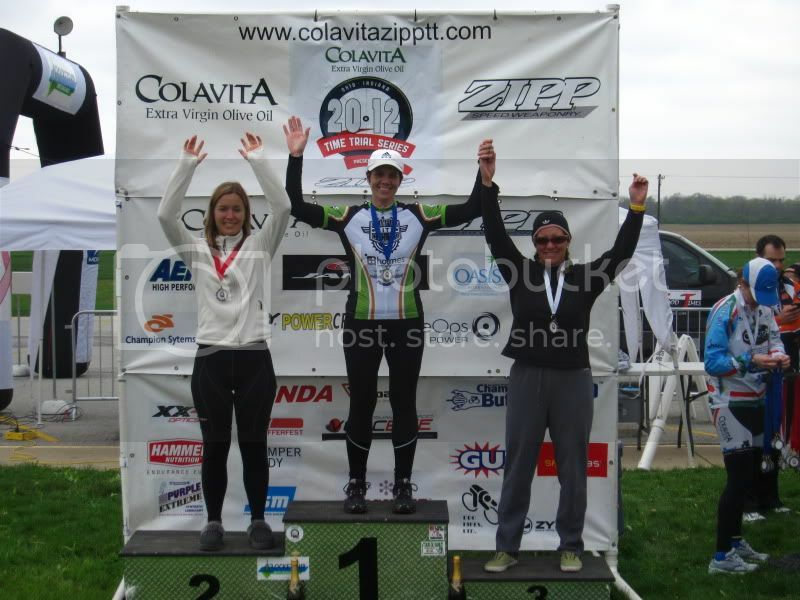 You win great door prizes (forgot to mention she won a gift certificate to Rudy Project for free sun glasses too), you get the big ColaVita Olive Oil and your picture on the top of the podium, and you don't have any purple toes.... good stuff! Food - at home the diet is easy. I know what I have around to eat, I know the calories, I have portion controls. Going out to eat is tough. We went out to eat last Friday with the Grandparents, and whole family. We went to the Habachi Grill Buffet there on Bechtle (where the old Duff's was - yeah how about that for dating myself). Anyways- the plan was get a salad and then go for fish.... get there and the salad was litterally a head of lettuce peeled... it was perfect for putting on the top of hamburger... but had to be cut up to eat as a salad. Interesting... so I do that and chop it up and had it. Part one down - now on to the fish and veggies. We went for the habachi grill. Got crab meat, shrimp, onions, mushrooms, green peppers, celerly, etc. The grilled it in front of me - adding some soy sauce, and I added some white rice. Man eating here is tough.. how do you figure the calories. I stopped after this because of the unknown. I know it had to be high in sodium, but only can guess on the calories. If you were to eat off the actual buffet cook tables - there are so many pitfalls. One egg roll can ruin your meal. Its crazy. Looking at the food- pizza, so much breaded food, fried food... baked food was a rarity. It's no wonder the US is in the place it is health-wise. That's all for this week - sorry for the rambling and odd directions. I'll work on being more focused for next week. Way to go Fred and Carisa. Fred it is obvious that you are not on a diet and have instead made a new way of life for you and your family. The truth is that we all have to eat at a buffet every once in awhile and Thanksgiving, Christmas, and New Years are always hard times to eat healthy but it's ok because you are living a new way and can recover from a few straying bites. Keep up the work. It's awesome watching the transformation.